The 'I Ate My Way Through Harris Park' food tour can be summed up in one word – delicious. Ok, maybe the words amazing and fun would also suffice, but for now, I think I'll go with delicious. The tour takes place in Harris Park, commonly known as Sydney's 'Little India'. 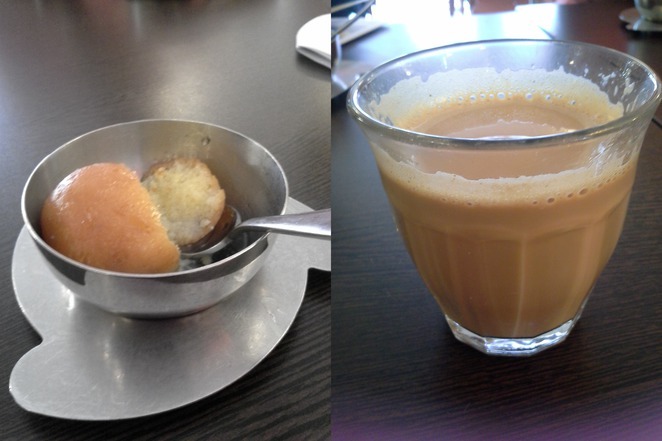 Meeting at 11am at Taj Sweets and Restaurant, we started our day with gulab jamun, a traditional Indian sweet, and a cup of masala chai. As we sipped our tea, the tour guide provided us with stories about the cultural heritage behind the different foods and sweets. Our next stop was Spice of Life restaurant, where a visit to the kitchens proved interesting. 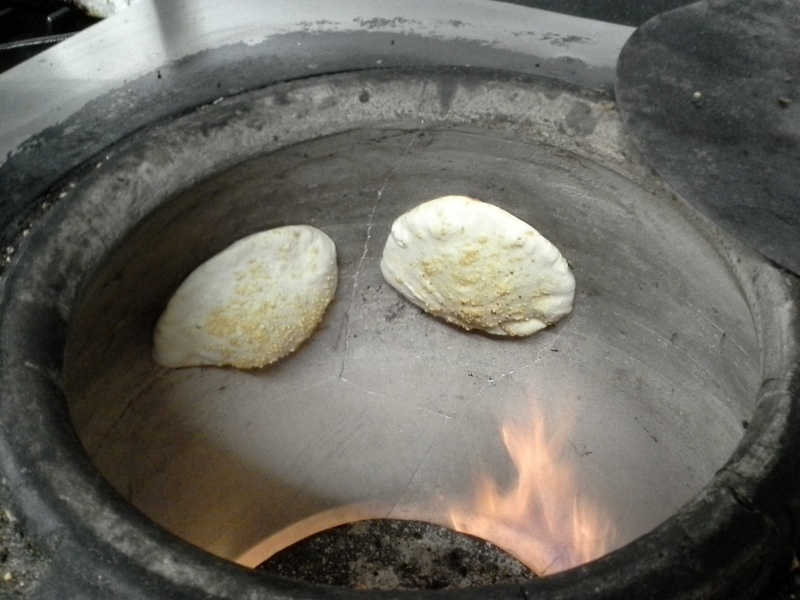 Seeing naan bread made from scratch is quite the experience, particularly if you've never seen a tandoor oven before. We feasted on traditional South Indian dosas, and cheese and garlic naan bread. 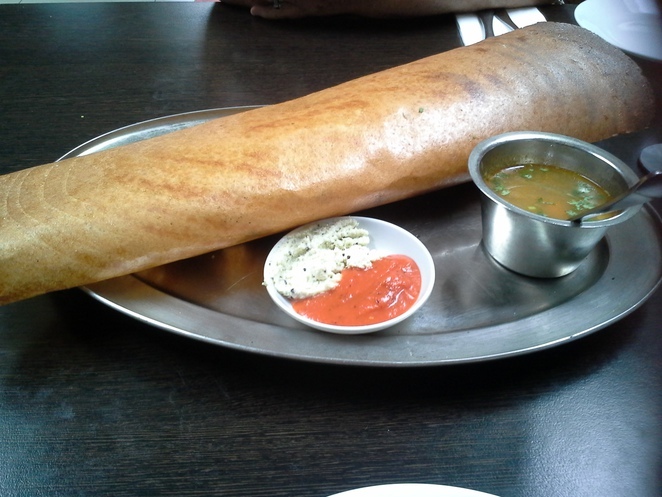 A dosa is like a crepe – flat and thin, with a delicious filling inside, and if you've never tried one before I highly recommend that you do. Ours was a masala dosa, with a spicy potato filling. To top it off, we enjoyed a glass of mint lemonade afterwards – my new favourite drink. The third stop in the tour was the Sabzee grocery store, which houses many essentials to Indian cooking, for example, spices, sweets, frozen mixes. I resisted the temptation to spend, by reminding myself of my minimal cooking skills. The fourth stop was Kuber Restaurant. We started with chole bhature, a puffy bread served with a chickpea curry. As most dishes were served with pickles, our host taught us how to savour the different tastes, first by dipping a piece of bread in the chole sauce, and then in the pickle, to gain a sensation of flavours. We continued our feast with some traditional idli cakes, a South Indian dish, savoured with a sambar (a dipping sauce made of pureed lentils and vegetables). As a person who is mad about lentils, this was heaven for me. What makes it even better is that traditional Indian foods are generally eaten with your hand, meaning that you can anticipate the flavours and texture even before they've reached your mouth! We also ordered a tomato and onion uttapum, which is similar to a pizza in that it boasts fresh ingredients over dough. To balance the flavours (the first three dishes were hot and spicy), we ordered dahi bhalla, which is fried dahl balls soaked in yoghurt. As we learned, yoghurt is the perfect accompaniment to spicy food – it provides that cooling effect. The final stop on the tour was Billu's Restaurant, where we finished off the day with desserts and tea. 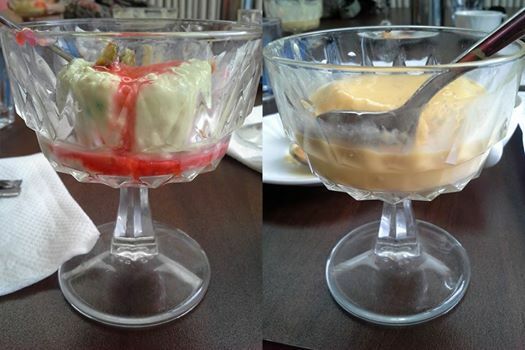 We enjoyed ras malai (cheese dumplings soaked in milk), and mango and pistachio kulfi (the Indian version of ice-cream). As a sweet tooth, I thoroughly appreciated the fact that we started and finished the day with a sweet (an Indian tradition, I'm told). Concluding at 3pm, the tour was a great way to experience authentic Indian culture. Not only did we get to try foods we hadn't tried before (let alone heard of before), we also learnt a lot about Indian culture and cuisine, and how each dish is meant to be eaten. As all the pit-stops on this tour are on the same street, it's a great way to experience different foods and places without exerting too much effort. Just a note if you do decide to attend – make sure you wear your fat pants! How many did that dosa serve? It's huge. The ras malai sounds nice. Was is a soft cheese filling?